The Matthew Myrics Beard House — DESIGN ASSOCIATES INC. 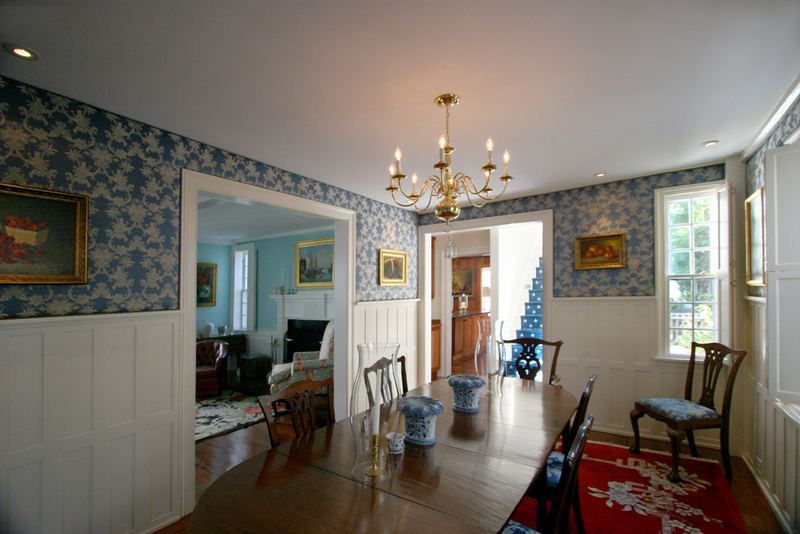 Originally constructed in the late 18th century, this Federal style residence has undergone a renaissance in the old Historic District of Nantucket. A restorative approach was established for this renovation; plank and frame 12 over 12 windows once again grace the exterior. The residence has been supported on a used brick foundation, and the overall building was stabilized to preserve the residence well into the 21st century. The interior features include a new kitchen of salvaged eastern white pine cabinets and new bathrooms, all with cabinetry and hardware details and style commonly found in late 18th century residences.